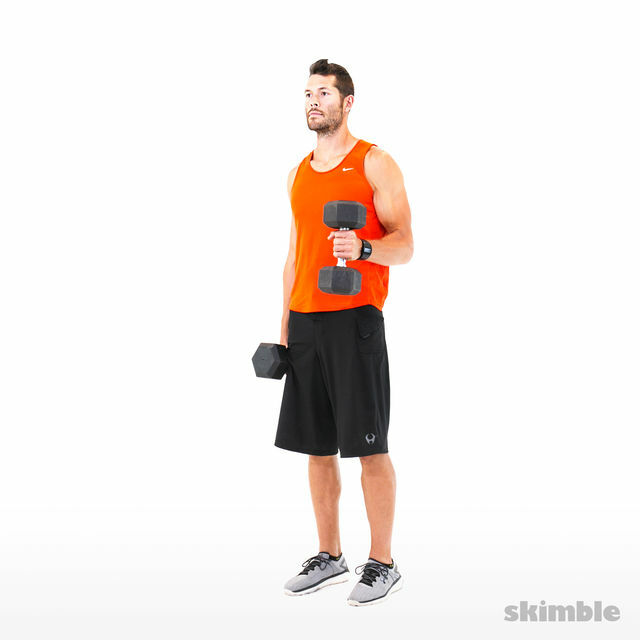 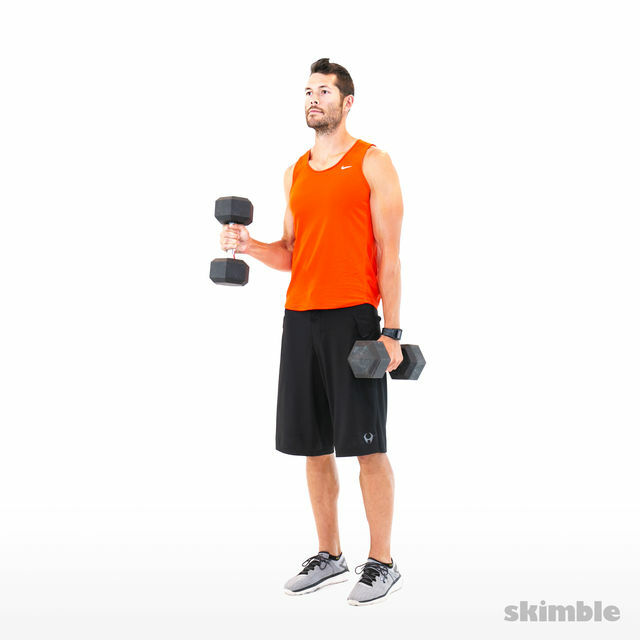 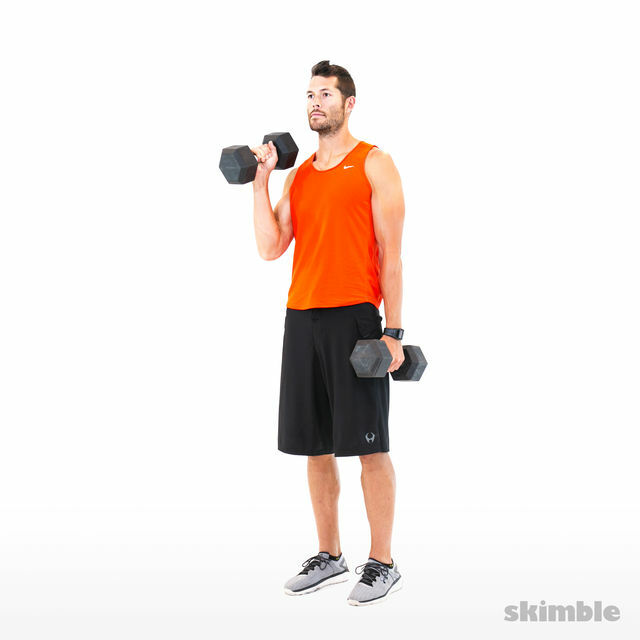 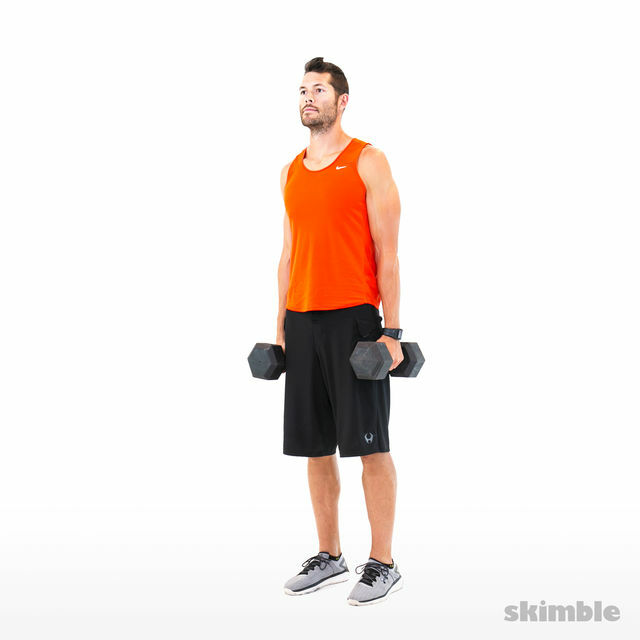 Stand with feet hip-width apart, holding dumbbells at your side with your palms facing each other.  Bend one elbow and squeeze your bicep to curl the weight towards your shoulder. 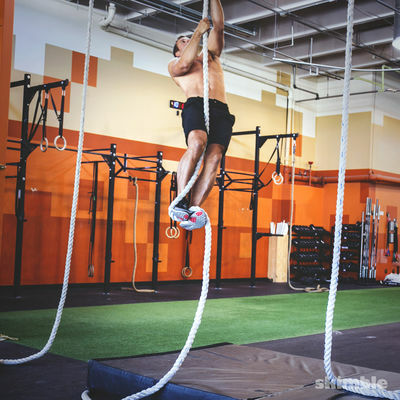 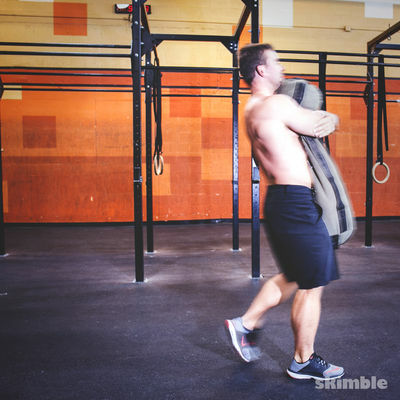 Slowly lower the weight and repeat alternating arms.